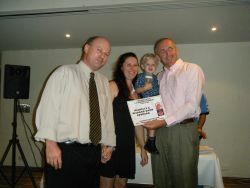 We are a Gold Coast family, and purchased the run down Coomera and Studio Village Coin laundromats in March 2006. Offering little to the local business and residential community, we saw the potential for a well run laundromat and laundry service, and knew we were the right motivated people to do it. Over the next few years we slowly introduced state-of-the-art Dexter commercial laundry equipment. As the demand grew for these superior quality washing machines and dryers, so did the number of machines. We found that customers were leaving the old top loading machines and old ADC dryers and waiting until one of the new DEXTER machines became available. Customers even started ringing ahead to see if one was free. We had to stop saying that they were “free” because our customers started to joke with us and say things like “Wow not only are they great machines but they are free too”. So now when asked, our machines are “available” for use. Our third laundromat was acquired in January 2011. 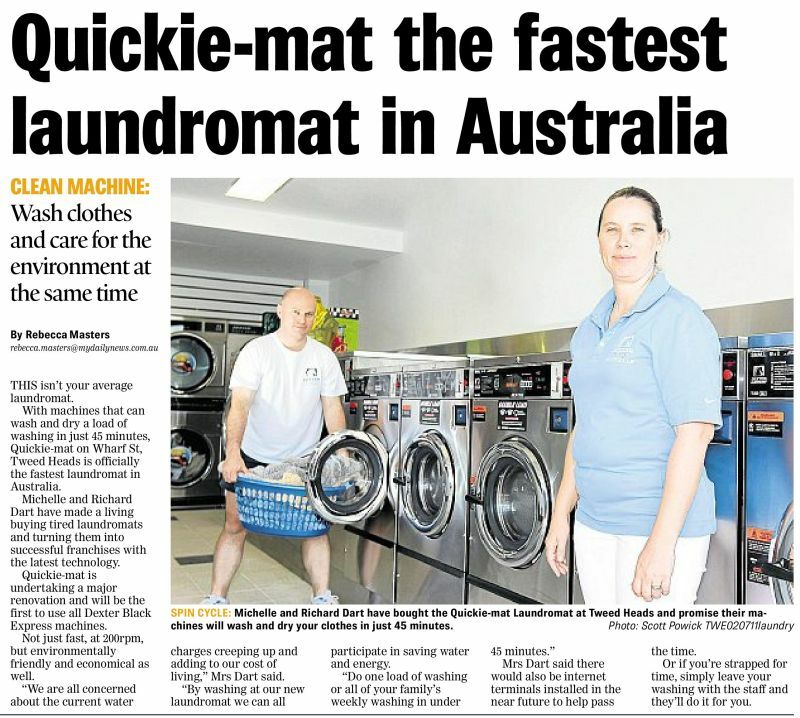 We transformed the Tweed Heads Ezy Laundromat into, Quickie-mat – Tweed Heads. The FIRST Dexter Black all EXPRESS laundromat in Australia. This laundromat has super water extraction in the washing machines at 200 G-force. So your line or gas drying time is shortened dramatically. Unfortunately in today’s society, we find good friendly customer service a rarity. The most important thing to us at our Quickie-mats is providing unparalleled quality service at the right price for the long term. For friendly service at our Coomera shop, come in and see Gwen. The laundry service hours of operation are, Monday to Friday between the hours of 7:30am and 3:00 pm. This location does not currently have permanent laundry service hours of operation, however services are available by arrangement. If we can help you with something, please call Michelle to make arrangements. For friendly service at our Tweed Heads location, come in and see Dee or Micheline. The laundry service hours of operation are, Monday to Friday 8:00 am – 2:00 pm and Saturday 8:00 am – 12:00 pm (remember this is NSW daylight savings time).